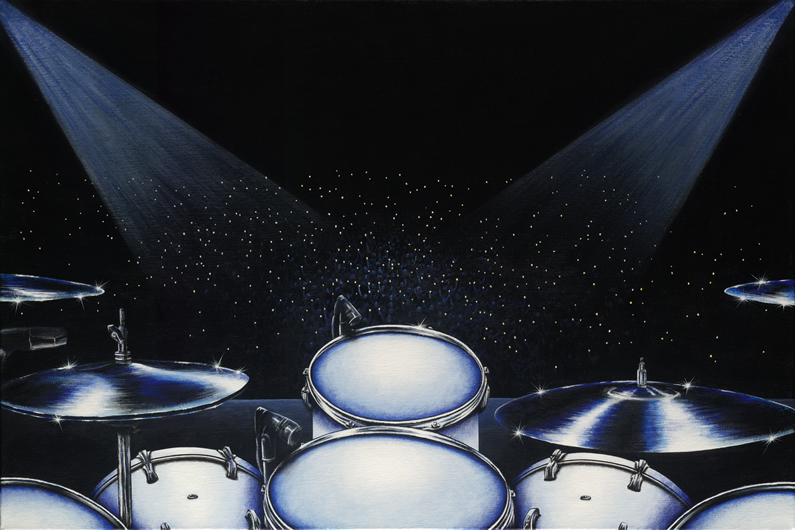 This vantage point from Michael's drumkit shares the moment preceding the encore song "Freebird", as the audience raises their lighters in anticipation. As Michael says, "This is truly what it feels like to sit in that spot." Michael's Desk is being offered as a giclée on canvas print, with a limited production of 75 signed and numbered pieces. The canvas measures 24" x 36"